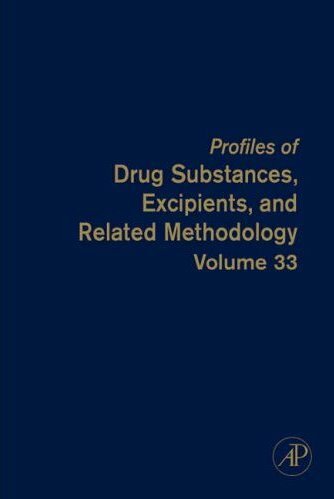 Whilst following in the footsteps of previous volumes by presenting comprehensive reviews of drug substances and additional materials, this title also heralds a significant expansion of the scope of the series. Traditional contributions will now also be augmented by publication of critical review chapters that summarize information related to the characterization of drug substances and excipients. This change is required to better meet the needs of the pharmaceutical communtiy and to allow the development of a timely vehicle for publishing review materials on this topic. 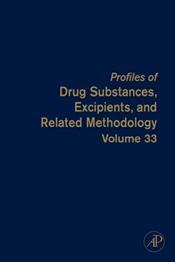 The scope of the Profiles series will encompass review articles and database compilations that fall within one of the following six broad categories: Physical profiles of drug substances and excipients; Analytical profiles of drug substances and excipients; Drug metabolism and pharmacokinetic profiles of drug substances and excipients; Methodology related to the characterization of drug substances and excipients; Methods of chemical synthesis; and Reviews of the uses and applications for individual drug substances, classes of drug substances, or excipients.